I came across this while walking around my neighborhood. 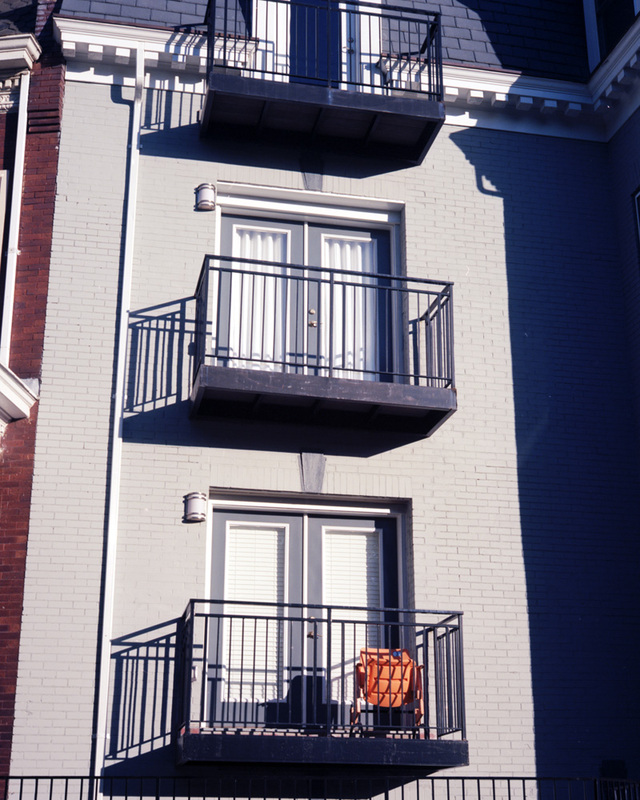 It’s a balcony on a rowhouse converted to condominium apartments. The sun was getting low in the evening sky, casting long shadows. The scene is almost monochromatic, with the exception of the orange chair. Yet the chair is subtle – it doesn’t pop out and smack you in the face. It may have actually been more intense in real life, but I like it as just a touch – too often you see people de-saturating a color image except for one object (usually red), which they then proceed to hyper-saturate in contrast to the scene around it.